Blogging from The Cambridgeshire Family History Society Fair 2013, held in Girton (North Cambridge) on 26th October 2013. 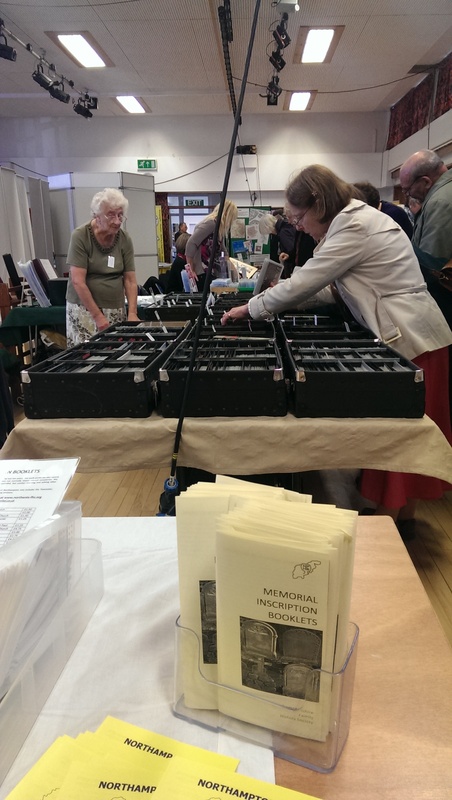 Last Saturday I attended The Cambridgeshire Family History Society Fair. I think this was the first time that the Fair had taken place, and I was really impressed to see the variety of lectures and stands. The venue – Girton Glebe School was easy to find and there was plenty of parking for those out-of-towners like me, and with bus stops for those more local. I had a strange flashback of my own primary school, when I found myself sitting on a small red plastic chair in one of the classrooms (although it seemed odd to be doing so whilst drinking a cup of tea). I didn’t get to take many photos, as the venue was smaller and felt more condensed than other shows I’ve been to, so instead, check out these great photos from the Society’s Facebook Page. Above: The Cambridgeshire Family History Society stand stood in the entrance with a warm welcome for all visitors. I picked up a couple of cdroms of the Society’s register transcriptions (non-conformists – which have already yielded some great info, and a Quarter Sessions transcript – which i’m yet to explore). As someone who has been to Who Do You Think You Are? Live a few times, and other Fairs, this one follows a similar style (why fix it, if it isn’t broken? ), with a hall with supplier stands, and then ticketed lecture sessions in smaller rooms. 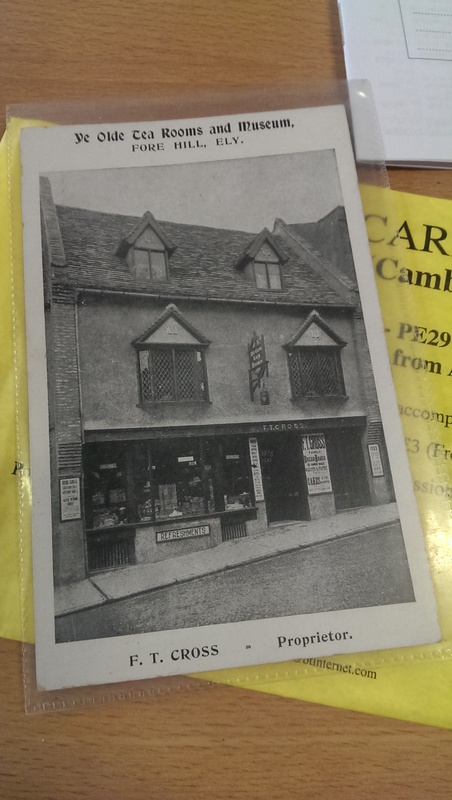 At the stand in the photograph above, I was lucky to find two postcards from Ely – both showing the shop that my Cross family owned and ran in Forehill (I recently referred to it in my blog and newspaper article about the Brown and Co (Ely) Ltd Shop). I chose one (£6!) and I’ve now added it to my collection. Part of me wishes I’d also bought the other one (£8.50!) as it was more of an advertisement card. Last year, the Huntingdonshire Family History Society held The Big Family History Fair in St Ives, but the Society later confirmed to me that it would not be taking place again this year. Hopefully it will be back for 2014! I was fortunate to get to talk with the Huntingdonshire Family History Society, at their stand, where they kindly looked up my Franks family. Sadly we couldn’t quite find them, but it seems that the parish that absorbed the now near-abandoned Coppingford village, may have retained the records. One day…. ONE DAY! I found it a little odd for there to be no Suffolk Family History Society, given that they represent the neighbouring county. I overheard a couple of others talking about this too. I was pleased to catch social historian (and self-confessed non-family-historian) Tom Doig‘s lecture on identifying Victorian photographs. His approach to this topic sounded odd to start with when he stated that you should never try to date photographs via the clothing seen in the photo. He shared with us his knowledge of the history of photography itself (something that I once studied with the Open University) – and explained the importance of looking at the style of the frames and mounts, and also the composition of a photograph as a method of dating it. Freshly plied with data CDs, a monumental inscription joke from Carol Noble on the CFHS stall, my Cross postcard, and Tom’s advice on photography, I returned home and instantly began searching through my records and photos again. An enjoyable time, and one that I hope to repeat again soon. Her Majesty the Queen has given Prince William and Catherine Middleton the title of Duke and Duchess of Cambridge on their wedding day. Her Majesty the Queen has given Prince William and Catherine Middleton the titles Duke and Duchess of Cambridge. The announcement ends months of speculation as to whether the title would be chosen as the couple’s new title after today’s royal wedding. The announcement follows just two days after the Queen visited Cambridge to open a new plant science laboratory and to visit St John’s College. The giving of titles on wedding days is a long tradition in the royal family. The last Duke of Cambridge was Prince George, 2nd Duke of Cambridge. He was the son of Prince Adolphus the 7th son of King George III. 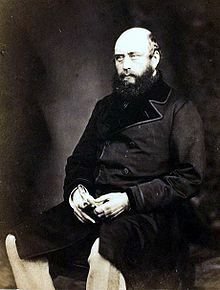 He was born at Cambridge House in Hanover, Germany on 26th March 1819. Prince George inherited the title of Duke of Cambridge upon the death of his father in 1850. However, Prince George had no legitimate heirs, despite having married and raised children. George married in 1847 to Sarah Fairbrother – an actress – the daughter of a servant in Westminster. Their marriage was done privately which therefore contravened the 1772 Royal Marriages Act. This meant that the marriage did not exist in British Law and therefore his bride would not be granted the title of Duchess of Cambridge or ‘Her Royal Highness’, and she would not be recognised by Queen Victoria. This in turn meant that their children were illegitimate and therefore not deemed as heirs to the dukedom titles or to the throne. The title consequently became extinct upon Prince George’s death in 1904. The new Duke and Duchess titles start from Prince William’s marriage to Catherine Middleton on 29th April 2011.